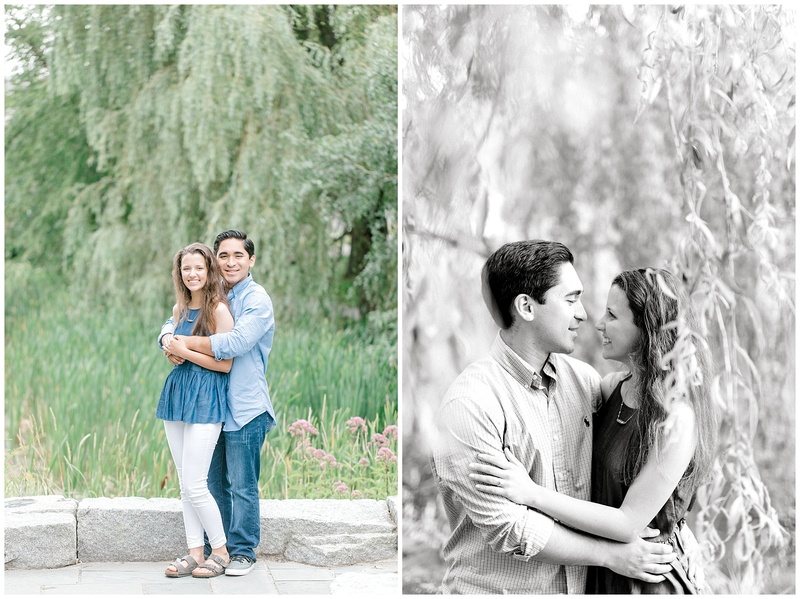 When one of my fellow photographers, Catherine Gross of Catherine J. 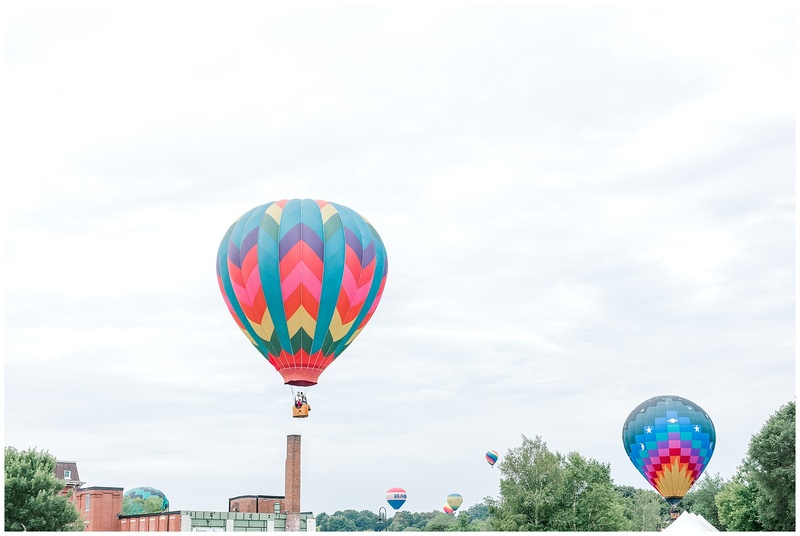 Photography (www.catherinejphotography.com), asked me to photograph a sunrise proposal with her at the Great Falls Balloon Festival, I immediately said ‘Yes’! 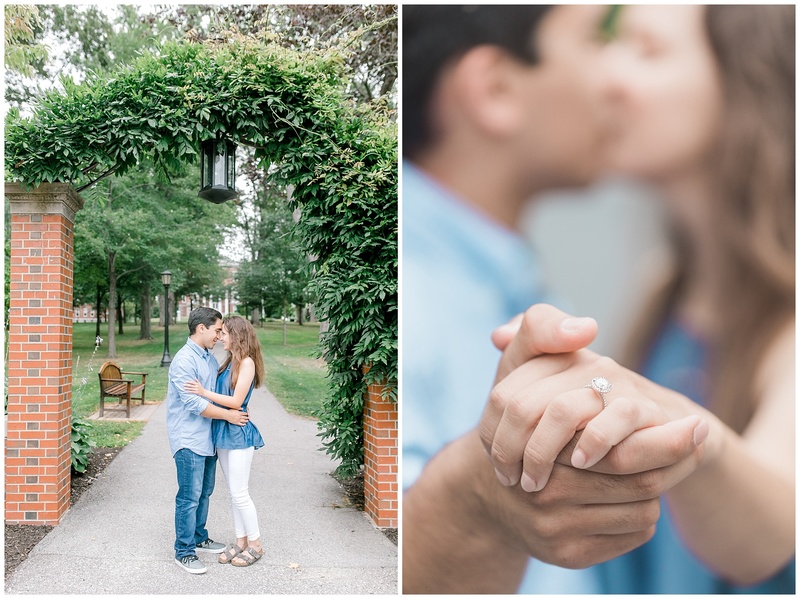 I love photographing proposals, and I know how important it is to have two photographers present if possible, since proposals can happen quickly and events can be unexpected! 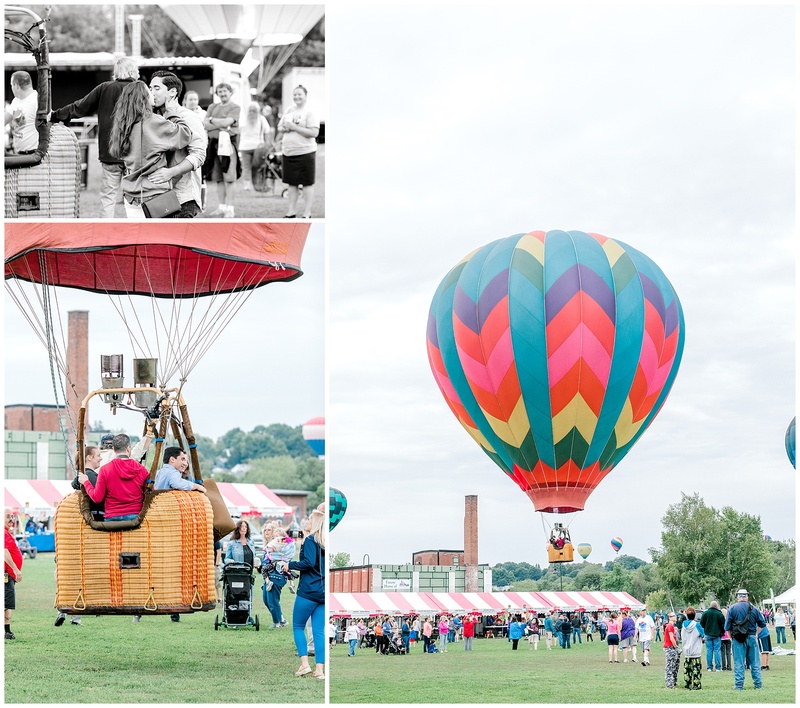 I have been to the Great Falls Balloon Festival in Auburn before, but never with my camera! Getting up at 4:30 am was a small price to pay for this session! 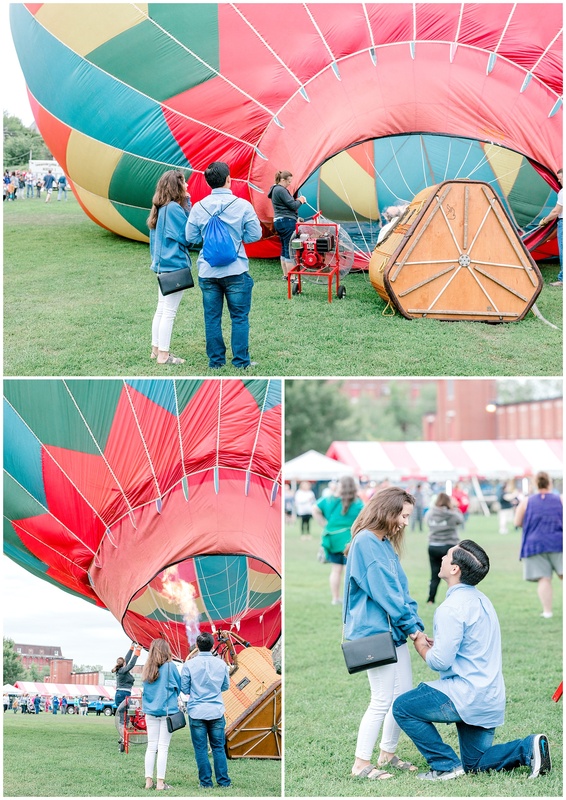 William contacted Catherine a few weeks prior, explaining that he was planning a surprise trip to Maine, solely for the purpose of fulfilling his girlfriend’s dream to ride in an hot air balloon – how sweet is that?! 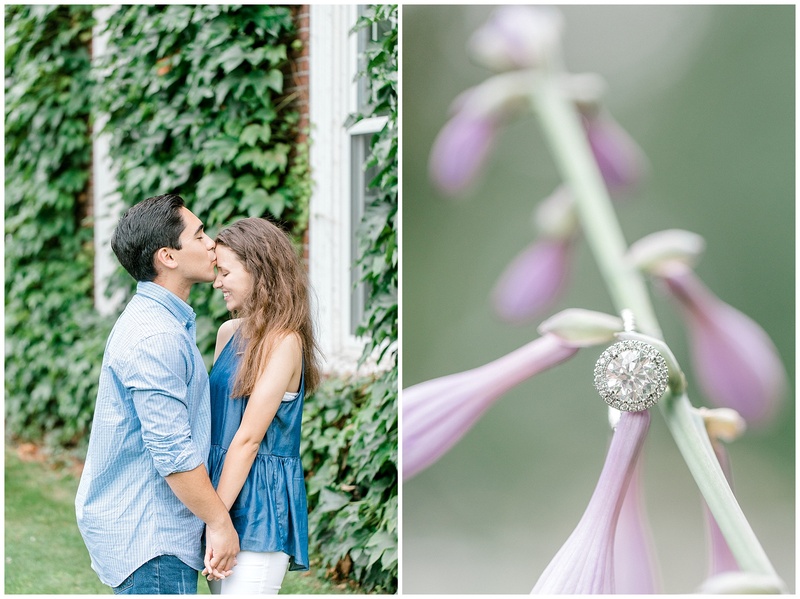 He wanted to propose to Amanda in a way that she would never forget! 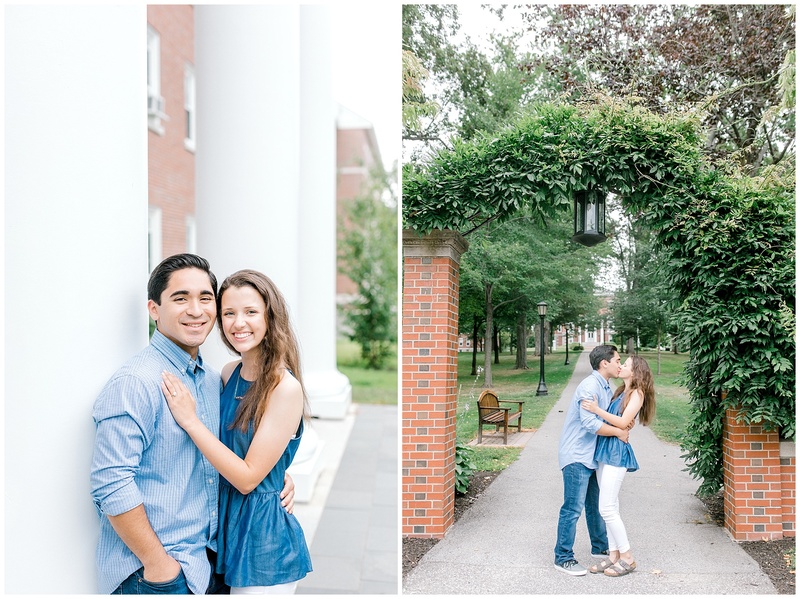 Catherine and I arrived to Auburn that morning with butterflies in our stomachs – photographing proposals can be nerve wracking! Will we be able to find them? Will there be too many people around to get any good pictures? Will she see us and know what’s happening?! Everything went so smoothly though! Catherine and I hid in the crowd, snapping a few pictures here and there when Amanda wasn’t looking. 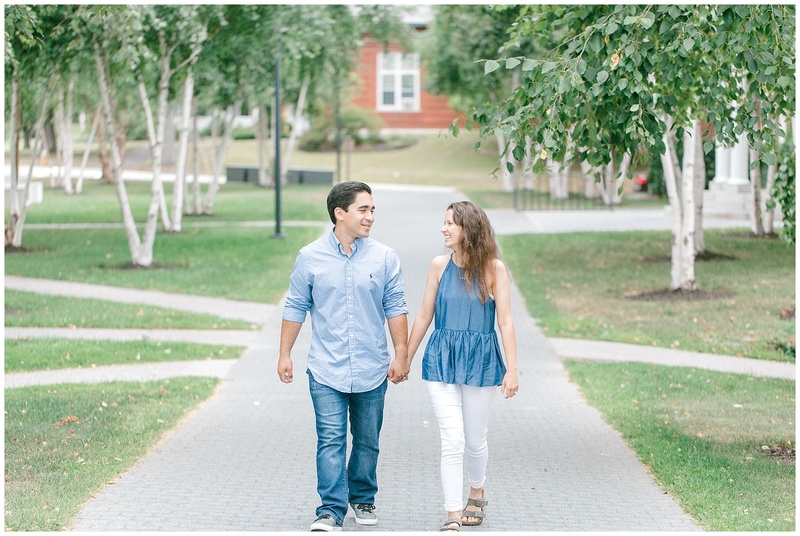 With a few quick glances between us and William, we finally knew it was about time! 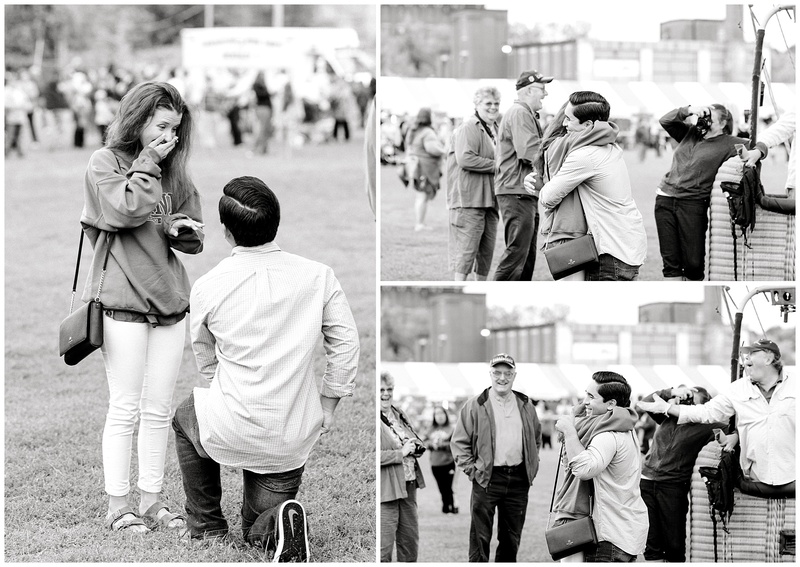 When William got down on one knee, you could tell that Amanda was in shock and started crying happy tears! 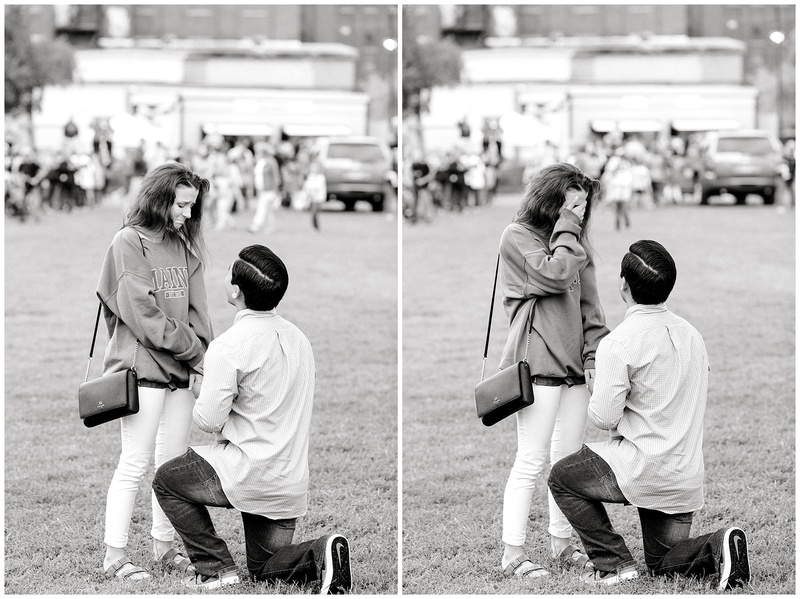 When she said ‘Yes!’, everybody around them starting clapping, it was like a scene from the movies! They got in the hot air balloon and rode away into the sky. 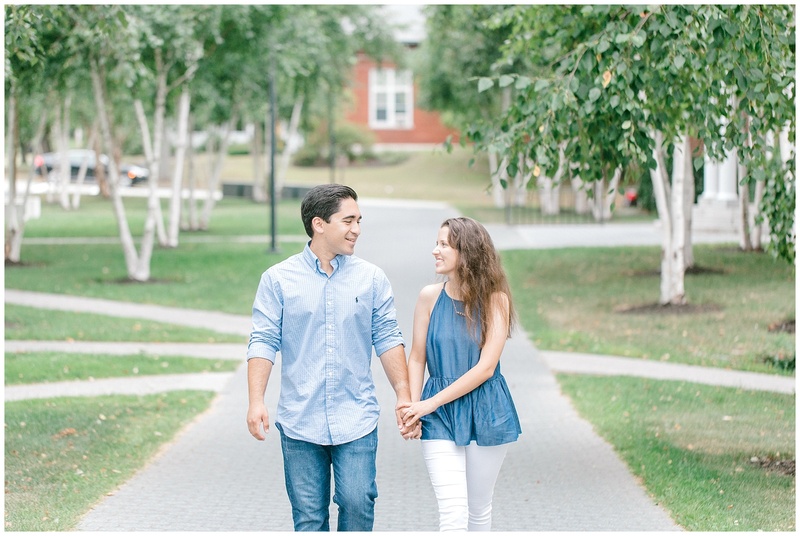 About an hour or so later, William and Amanda met Catherine and I at the Bates College Campus right down the road. 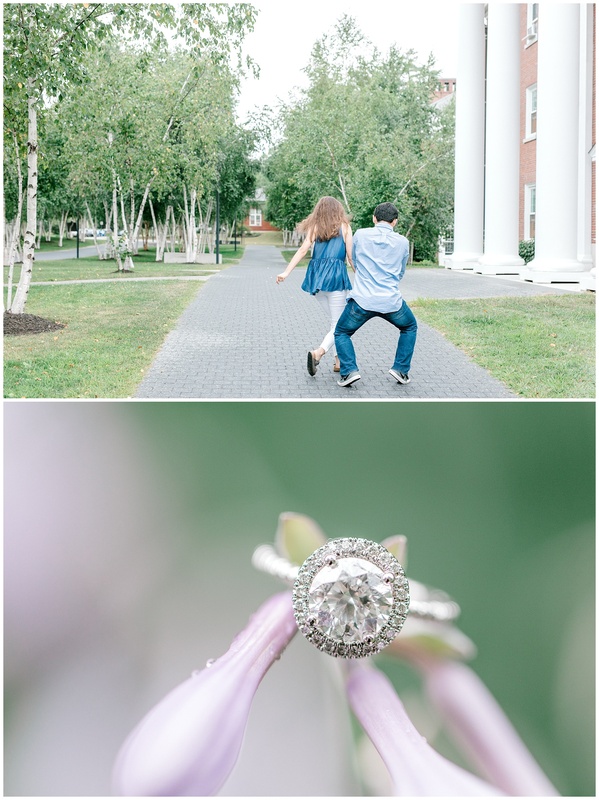 We walked around the campus, taking some adorable pictures of the newly engaged couple. 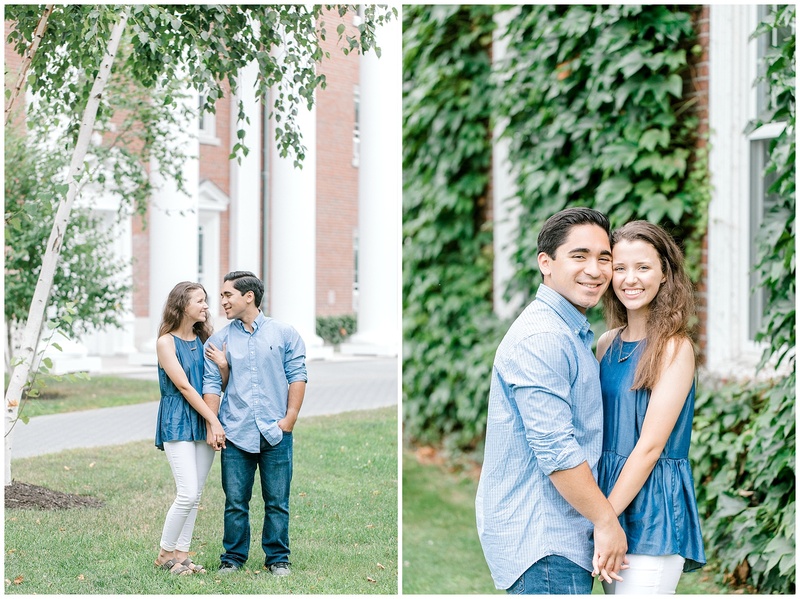 They were a joy to photograph, and I’m so glad that Catherine invited me along that day! 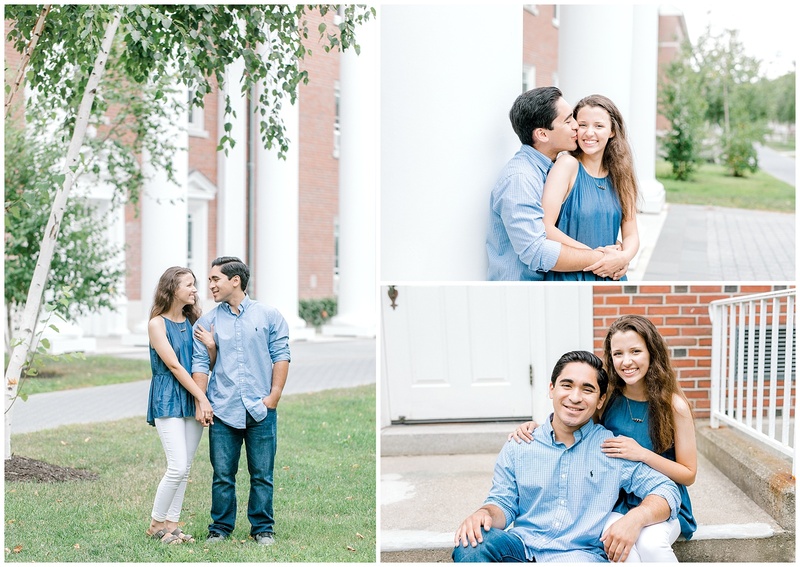 She was also gracious enough to encourage me to share my images from that morning, so here they are!